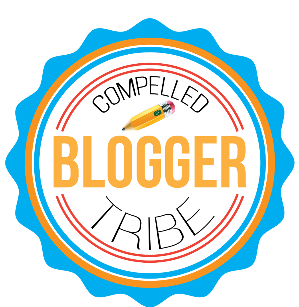 This week’s topic for our Compelled Tribe of edubloggers is inspired the BAM! Radio Show, My Bad which is hosted by tribe member Jon Harper. Jon has issued his “MYBad leadership challenge - Mess up, fess up, and share with us on My Bad” and we’ve accepted it as bloggers! Today I’m going to share a mistake I made during my first year of teaching. 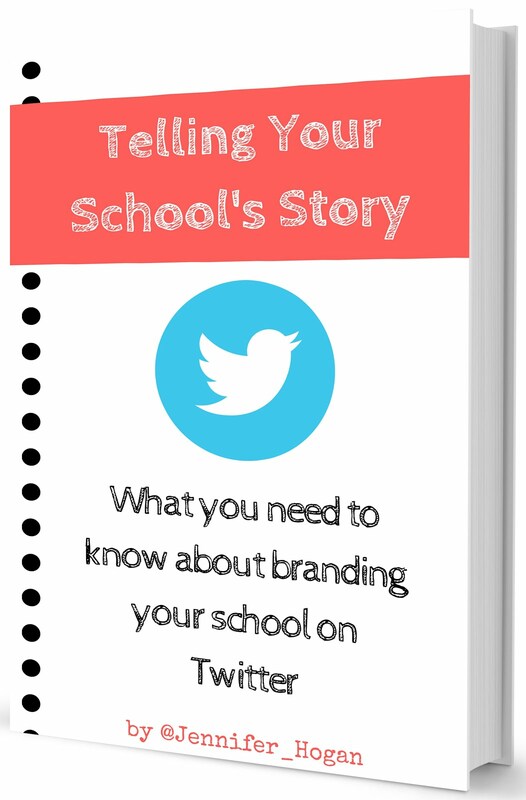 It’s a story I tell to the first-year teachers who join us at Hoover High School each year, and one I'm not proud to tell! When I was in the classroom, I tried to be very organized and efficient. I had lots of systems in place, such as a “what to do if you were absent” station, a place to turn in work, a system for curtailing tardies, taking attendance, and all the rest of those managerial tasks that I had to do as a teacher. One of my systems was how I collected students’ work. Students would pass their work up to the front of the row, the first person in the row would make sure he/she had a paper from everyone, then I would come by and collect the papers. I would neatly align the papers and put a paperclip on the stack. Then, I would put the papers in a file folder labelled with the class period. This made for easy transportation home for grading and for keeping 120 papers organized. Now, I must confess. To this day, I don’t think Suzy turned in her paper (which was 24 years ago). BUT, I definitely would have handled it differently now than I did then. Even in my second or third year, I think I would have handled it differently. What happened next was a phone call from her dad. He said that Suzy had told him that she turned in her paper, and I (again) explained my system for collecting papers that involved the paper clip and file folder for safekeeping. I assured him that I didn’t lose her paper, and that since I had nothing to grade she would get a zero. This all turned into a meeting in the principal’s office. We went through all of the details, including the parents’ point that their daughter had turned in every assignment prior to this one. My principal was supportive in the meeting, and I’m thankful that he was. Looking back, I wish he and I would have been able to have a conversation prior to the parent meeting so that perhaps it could have taken a different turn. As I look back, here’s what I have learned since then. There were other options besides giving her a zero. I could have not counted it for or against her. I could have given her an alternate assignment. I could have made her do it again. I could have had a short conference at my desk with her to find out what she knew about the previous night’s homework. What I share with first-year teachers is that sometimes when we’re so staunch about our approach to something, we might win the battle but we lose the war. I lost a relationship with that student after that day. 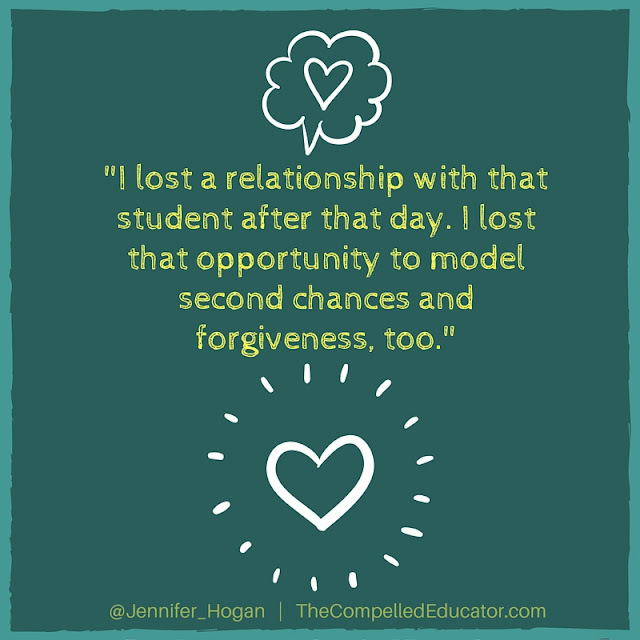 I lost that opportunity to model second chances and forgiveness, too. I always encourage first-year teachers to come and talk through situations with any of the administrators at our school. We all have an open-door policy and the belief that asking questions is not a sign of weakness but a sign of strength and willingness to grow. What happened 24 years ago was definitely one of many of “my bads.” I hope I have learned from every experience as much as I did that one! Click here to listen to Jon interview Starr Sackstein, another Compelled Tribe blogger, as she shares her story! Jennifer this is so powerful! I can promise you that we have all been there and you sharing this with the world is so important. I think it lets us know that we are human and that we all make mistakes. I think it also shows the students and staff that you serve that you are fallible and now they can be too. Wonderful piece!!! 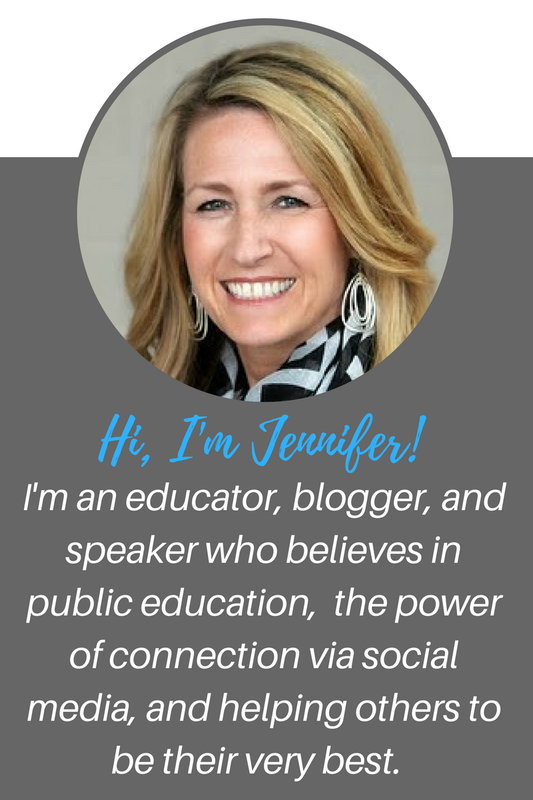 Love this powerful story Jen! Thank you for sharing--I too made the same mistake of focusing on the wrong things with students and families. Oh what experience, maturity and wisdom can teach us!! I couldn't help but laugh/cringe a little reading about your system. You see, it's mine too, but I use colored paper clips (1st class blue, 2nd class green, and third class yellow--alphabetical order) then instead of the folder I use small/medium/large binder clips. 😂 Now I see that too often I've been confident that my superior systems madd me right. Thanks for the reality check. I needs this! Thanks for writing such an honest piece. We've all been there. We all make mistakes. Every day isn't perfect, despite our good intentions. It's a comfort to remember that every student has many teachers in their lifetime, so when I goof up, hopefully the next teacher can give that student what I failed to. It's one of the things I pray about.